Celesteela, code named UB-04 Blaster, is the 297th Pokémon in the Alola Pokédex. It is a Steel/Flying type, and is known as the Launch Pokémon. It is classified as an Ultra Beast. 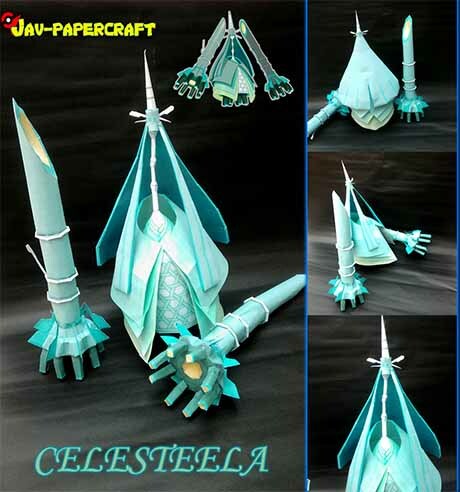 Papercraft created by Javierini and assembled by Pikachitoo.